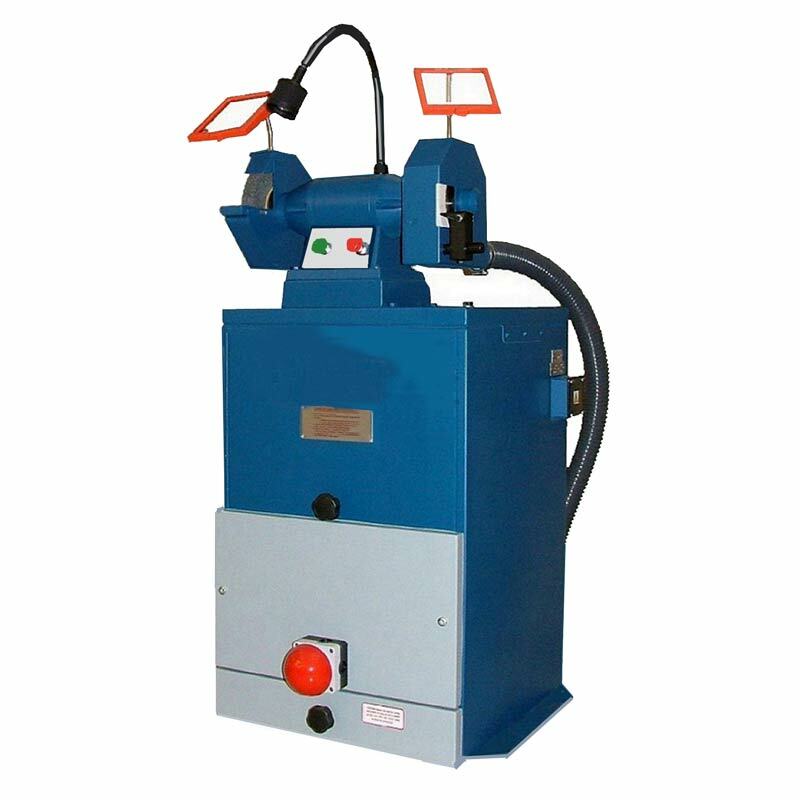 The 250mm grinder is a versatile middle weight – 2250rpm machine that can be manufactured to accept various work station configurations, namely:- Grinder / Grinder, Grinder / Side Grinder, Grinder / Polisher and Grinder / Wire Brusher. 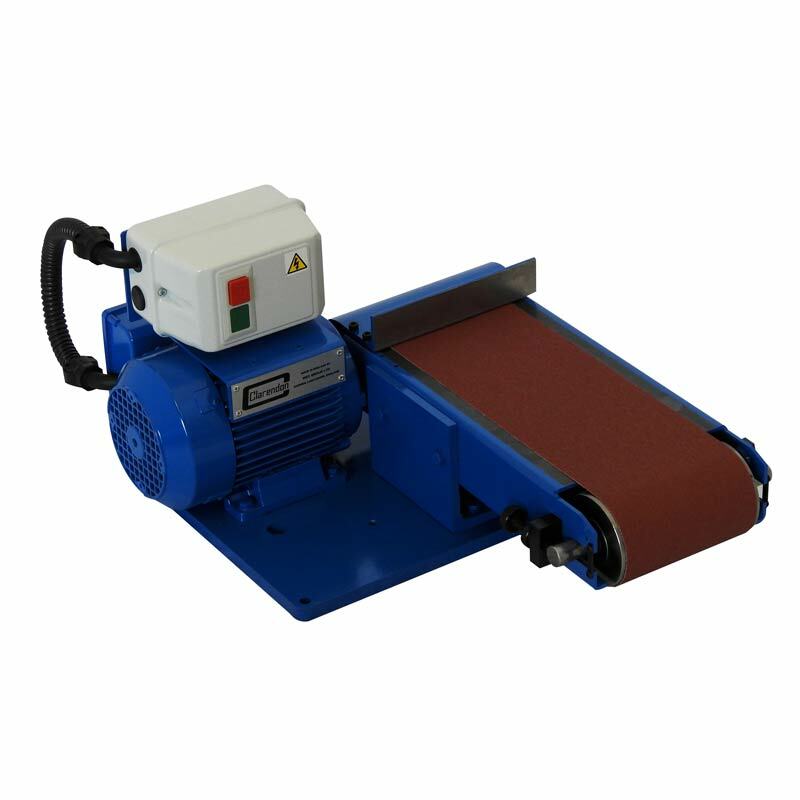 This grinder is complete with a cast iron pedestal and is ideal for use in both industrial or educational workshops. “V” belt motor drive to spindle. Electrical controls are of the “No Volt” release type with thermal overload contactors. 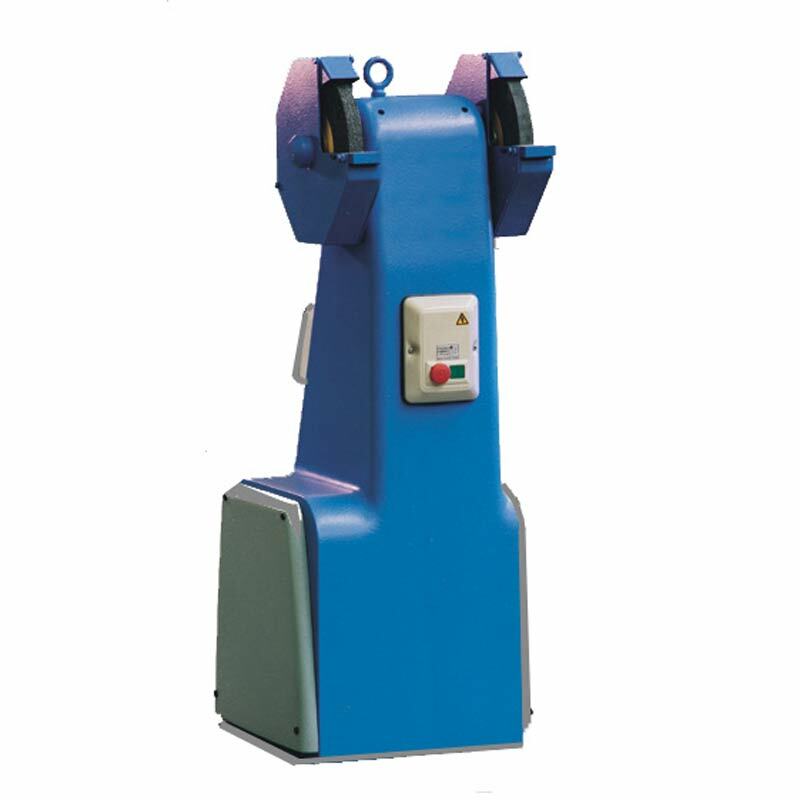 Machines running at 60Hz will have the spindle speed increased by 20%, therefore grinding wheels must be speed rated accordingly. 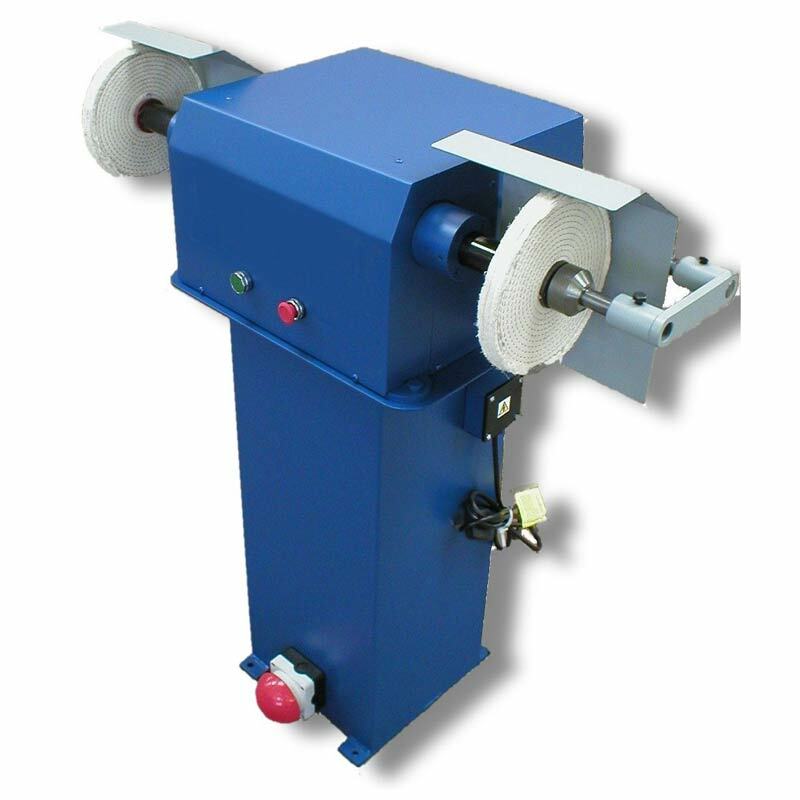 Grinding spindles are 20mm diameter, however the wheel plates accept 31.75mm Grinding Wheels. Polisher models have “Pigtail” spindles (Taper Thread Style), Generally Brushers are fitted with 19mm plain diameter spindles however some clients utilise the “Pigtail” spindle as per the polisher set up. To reduce vibration potential we recommend plain spindles for wire brushing. 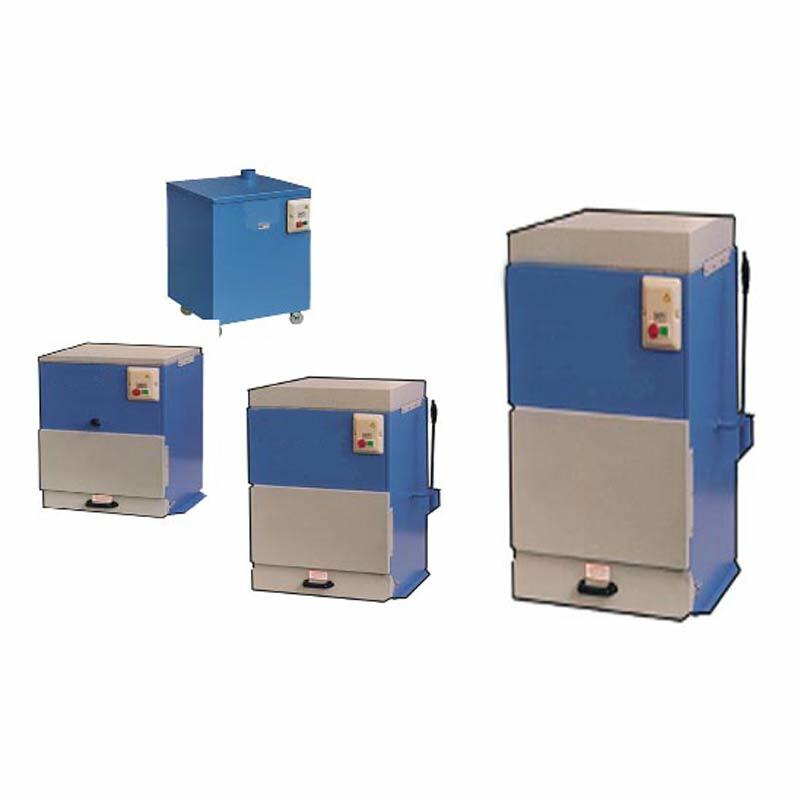 Guarding is supplied with or without extraction ports, to be specified at time of order. Hi-Spec CNC products are designed and manufactured to comply with all statutory safety requirements in force within the European Union; marked and certified accordingly. 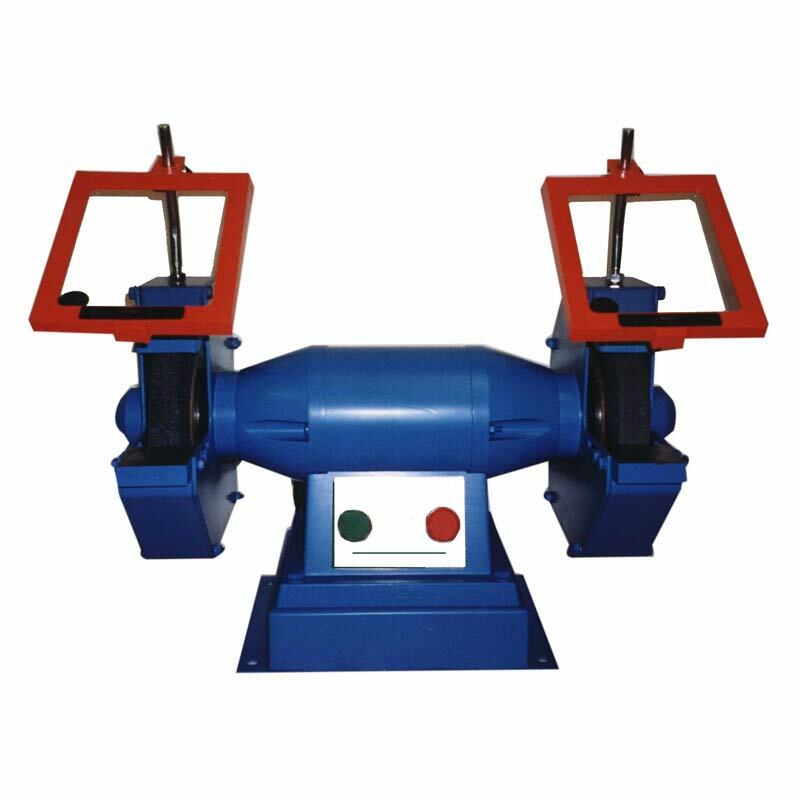 Particular attention must be given, by the end user, to any mandatory local or national requirements, especially those relating to grinding wheels; the protection of eyes and control of substances hazardous to health.